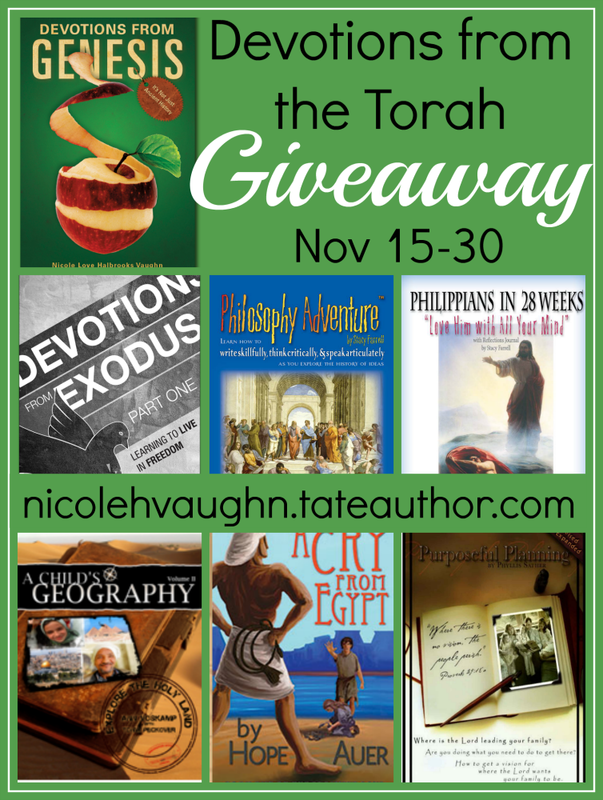 Adventures with Jude: Devotions from the Torah Launch Team Giveaway! Devotions from the Torah Launch Team Giveaway! I'm really excited to be working my way through a new devotional series. Written by Nicole Halbrooks Vaughn, Devotions from the Torah was created from Nicole's study of the Bible. Starting literally "In the beginning..." she has written a series that helps further an understanding of the Torah. Jesus is the New Law, come to fulfill the Old, but it's hard to understand Him as the New Law if you don't have firm understanding of the laws that are the foundation of the Old Testament. Devotions from the Torah is a great way to begin to grasp a better understanding. Thanks for helping spread the word of this fantastic new series! I hope you'll come back to read my review of the first two books, Devotions from Genesis and Devotions from Exodus Part One next month!